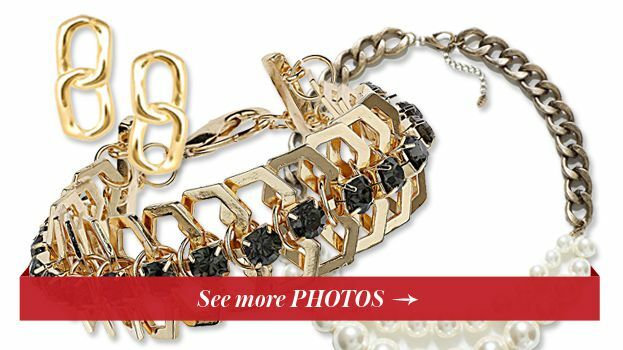 Check out some Sweet Savings on "20"" Franco Chain 14K Yellow Gold Appx. 2.0mm"
"20"" Franco Chain 14K Yellow Gold Appx. 2.0mm"
"Styled in versatile 14K yellow gold, this Franco chain necklace for her is 20 inches in length and fastens with a lobster clasp. The chain is approximately 2mm wide. Chain Width may range from 1.9 - 2.1 millimeters." "24"" Franco Chain 14K Yellow Gold Appx. 2.0mm"
"20"" Franco Chain 14K White Gold Appx. 2.0mm"
"22"" Franco Chain 14K White Gold Appx. 2.0mm"
"24"" Franco Chain 14K White Gold Appx. 2.0mm"
14k Yellow Gold 2.0mm Polished Franco Chain Necklace 20"
14k Yellow Gold 2.0mm Polished Franco Chain Necklace 7" - 30"
14K White Gold 2.0mm Franco Chain Necklace, 24"
14k White Gold 2.0mm Polished Franco Chain Necklace 16"
14k White Gold 2.0mm Polished Franco Chain Necklace 7" - 30"
14k Yellow Gold 2.0mm Polished Wheat Chain Necklace 16"
14k Yellow Gold 2.0mm Polished Wheat Chain Necklace 16" - 24"
14k Yellow Gold 2.0mm Polished Cable Link Chain Necklace 20"
14k Yellow Gold 2.0mm Polished Cable Link Chain Necklace 16" - 24"
14k Yellow Gold 2.0mm Regular Rope Chain Necklace 30"
14k Yellow Gold 2.0mm Regular Rope Chain Necklace 7" - 30"
14k White Gold 2.0mm Singapore Chain Necklace 20"
14k White Gold 2.0mm Singapore Chain Necklace 7" - 30"
14k Yellow Gold 2.0mm Diamond-Cut Milano Rope Chain Necklace 20"
14k Yellow Gold 2.0mm Diamond-Cut Milano Rope Chain Necklace 7" - 30"
14k Yellow Gold 2.0mm Diamond-Cut Light Rope Chain Necklace 20"
14k Yellow Gold 2.0mm Diamond-Cut Light Rope Chain Necklace 7" - 24"
"20"" Franco Chain 14K Yellow Gold Appx. 1.2mm"
14k Yellow Gold 2.0mm Diamond-Cut Rope Chain Bracelet Anklet 10"
14k White Gold 2.0mm Diamond-Cut Rope Chain Necklace 20"
14k White Gold 2.0mm Diamond-Cut Rope Chain Necklace 6" - 30"
"20"" Franco Chain 14K Yellow Gold Appx. 1.1mm"
"20"" Franco Chain 14K Yellow Gold Appx. 1.55mm"
"24"" Franco Chain 14K Yellow Gold Appx. 1.2mm"
"16"" Franco Chain 14K Yellow Gold Appx. 1.2mm"